G&S Grooming is a grooming service for any kind of dog. we also have a choice of a deluxe wash or a specialty wash. The deluxe choice provides a wash with dawn soap and a comb. The specialty wash provides a wash with dawn soap, a comb, and a trim. 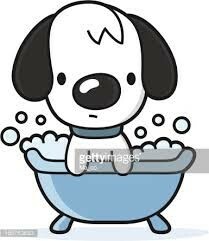 The natural resource that we will need is soap, we plan to use dawn soap because it kills fleas and is less dangerous.Our capital resources are a kiddy pool, towels, brushes and combs,baby powder scented spray, dog treats, scissors, and dog breed books. For our human resources or employees we will only need ourselves- Gracie and Skylar. Since there are about four thousand dogs in Kansas City there is a high demand for our services . The people you will want our service are people who work and don't have time to wash there dogs or people you just don't want to wash their dogs. Although the demand is high for a dog wash when you bring in your dog, it will also get a fun day in the sun, your dog will be clean and have fun if you chose our service. G&S Grooming will be located in Platte Woods in Gracie's front yard.We hope you chose our service first. We will locate our business in Platte Woods in Gracie's front yard for more space and to advertise our business. Our competition will be a ways away and they will charge anywhere between thirty-five to fifty-five dollars. We only charge ten to twenty dollars, soon we will have more customers then them! 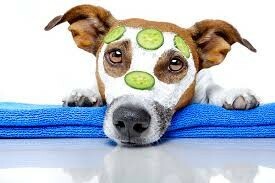 There are plenty other dog grooming services in Kansas City to choose from. You should choose G&S Grooming because we range from ten to twenty dollars in price range while others range any where from twenty-five to seventy-five dollars. 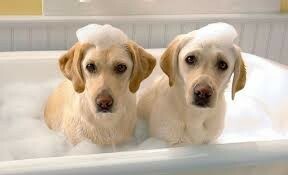 If you invest in our service then you will not only get your dog a bath, But also a fun day in the sun. For G&S Grooming we are going to need 200 dollars to get our business started. This will cover natural, capital, and human resources. If we wash seven dogs a day for two days our loan will be paid back. Thank you for choosing our business first.